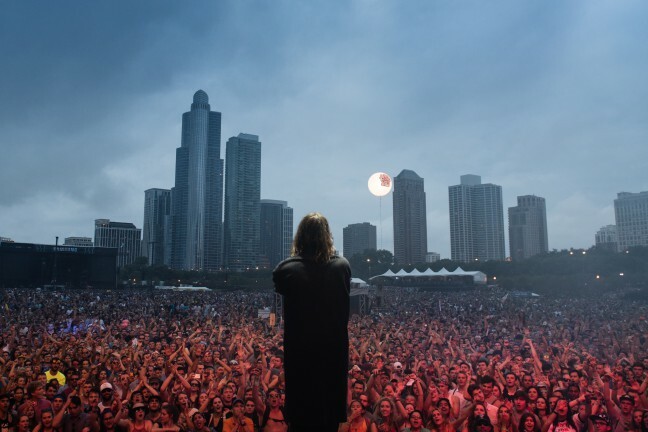 While adding an extra day to Lollapalooza at first seemed chaotic (maybe even a potential disaster), the festival was as fun and ridiculous as ever — in the way only Lollapalooza can be. As always, Chicago’s breathtaking Grant Park hosted the festival’s 25th anniversary, bracing itself for four days of mania with an estimated 400,000 people in attendance. Even a rainy first half of the weekend didn’t diminish the good energy. The festival has always attracted a young crowd. But that main demographic has never taken away from the incredible variety of people walking through the Lollapalooza gates. It’s the best spot to people watch, especially seeing adventurous folks sporting the most risky fashion trends. While doing so, festival-goers can hear the distant booming of any of the eight stages, which without fail attract restless anticipation. But that distant booming is never an issue, due to Grant Park’s incredible size and systematic stage placement. The massive Samsung and Bud Light stages mark both far ends of the park and are reserved for the biggest acts. Though the rest of the stages are smaller in comparison, they’re still pretty damn big. 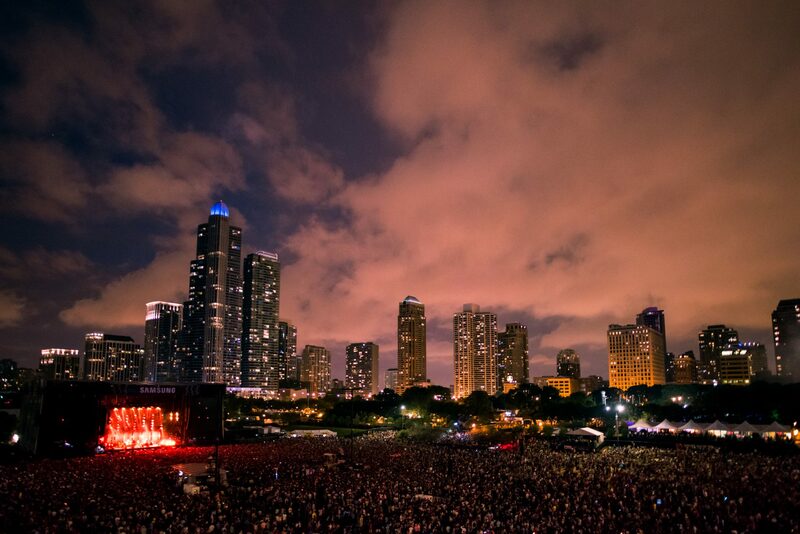 There’s a reason why Lollapalooza is Chicago’s biggest music festival. The Badger Herald had the opportunity to attend the 25th annual Lollapalooza, and we saw an overwhelming amount of music. After the long weekend, however, we were able to break it down into our top 10 favorites. 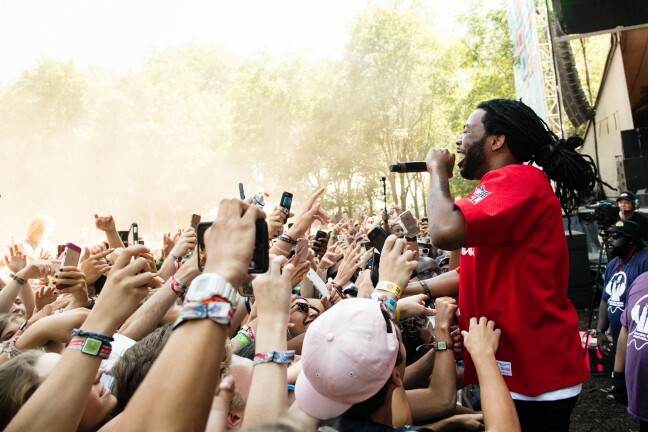 Take a look at our official Lollapalooza 2016 recap. While a concert should primarily be about the sound, a lot can be said for an artist’s visual presentation. The 1975’s classy ensemble with white and black suits elevated their intense performance with their characteristic class, yet mysterious aesthetic. 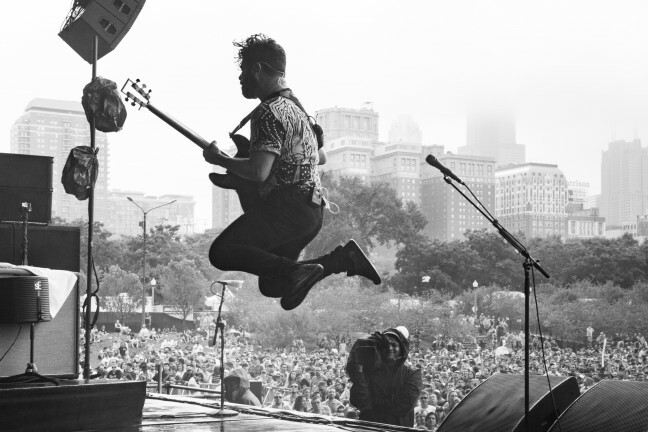 Their Thursday night slot allowed them to perform for fresh, eager Lollapalooza attendees. The crowd hit their stride during that first evening and was ready to groove and bop to the English alternative rock band. 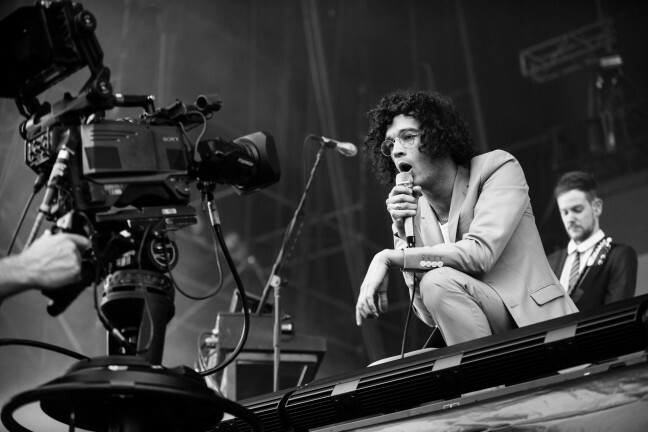 Frontman Matt Healy had a vintage edge to his dapper white suit, and sported glasses with circular rims with dark, long curls framing his face. Vocally, he was outstanding, his voice hauntingly smooth and reverberating throughout the Bud Light stage area. Festival-goers camped out on the lawn were soon up and dancing — impossible to resist with The 1975’s stellar performance. Anyone who was in attendance at the indie pop band’s set had one goal in mind: sing and dance their asses off to the group’s hit single, “My Type.” The hour-long set hyped up to this moment, but that’s not to say everything leading up to it was anything short of incredible. Frontman and lead singer A/J Jackson dominated the Lakeshore stage with his sultry vocals and friendly interactions with the crowd. From singing to the jumping fans in the front row, to serenading the camera woman who was filming the set, each moment was filled with more energy and passion than the last. 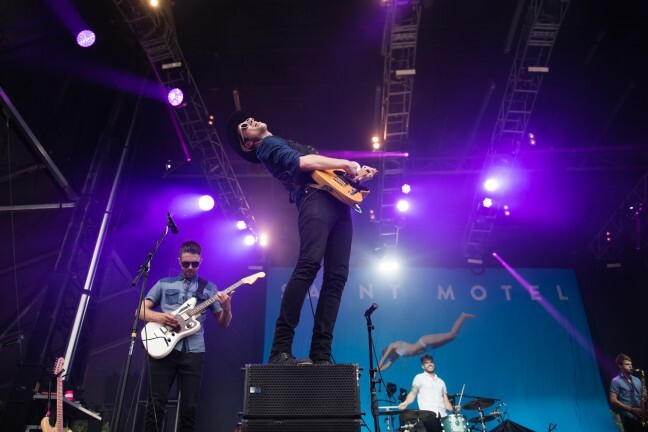 With a huge, satisfied turnout for their first appearance at Lollapalooza, it looks like the festival should consider giving Saint Motel a bigger slot next time around. Foals’ big radio hit “My Number” may have been a hit with the crowd, but the Oxford-based band’s interactive style and high energy made their entire performance remarkable. Frontman and lead guitarist Yannis Philippakis handled the Samsung stage with captivating charisma and aggressive, yet incredible, vocals that riled up the crowd. Foals put a lot of heart into their performance and never seemed to stand still, or take a breath to rest — even in the middle of a dreary, rainy afternoon. Sure enough, the clouds parted near the end of the show. But Philippakis was sweating and amplifying the crowd well before the beating sun kicked in. The Purple Reign rapper made it his mission to rile up the Chicago crowd as much as possible during his set on the Bud Light stage. With the help of his recent slew of hit singles and a surprise visit from Chance the Rapper, even technical difficulties with his microphone couldn’t stop Future from keeping the entire set lit. The Atlanta native mixed in singles from his recent releases Dirty Sprite 2 and Evol, along with songs from his mixtape collaboration with Drake, What a Time to Be Alive, to create a wild, interactive set. Even though his microphone kept dying, the crowd assisted Future with every song he threw out. A key moment of the show was definitely the unanticipated “No Problem” from Chance. But that alone still couldn’t steal the whole show from Future Hendrix. The Lakeshore stage is Samsung’s slightly smaller neighbor, and allows a more intimate, relaxed concert experience with a surrounding grassy hillside. When Miike Snow came to play on Friday evening, the vibes emitting from the crowd were friendly and relaxed. This was perhaps in part due to the calming, mesmerizing presence of Miike Snow, a wonderful combination of rocking guitars, drums and sweet synth. Not only does frontman Andrew Wyatt have impressive vocals, but the collective live instrumentation and energy of the band rang clear and strong, perfect for bobbing heads while kicking back and relaxing. Concert highlights included extended performances of “Silvia” and “Animal,” stirring up an enthusiastic audience and calling all to dance and sing along. 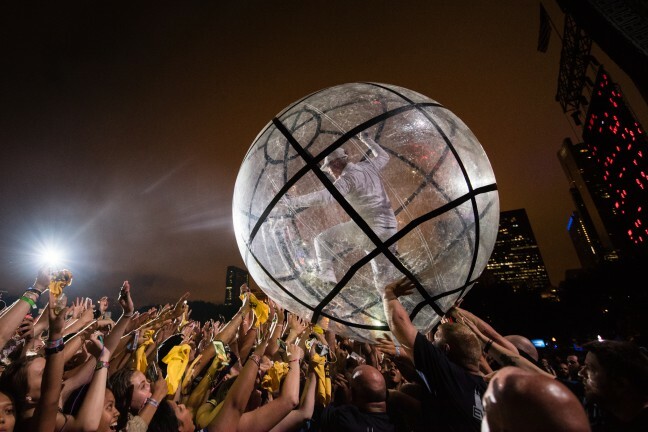 What happens when you give Major Lazer a headliner spot at the Bud Light stage? Two blown-out power generators and a giant dance party. 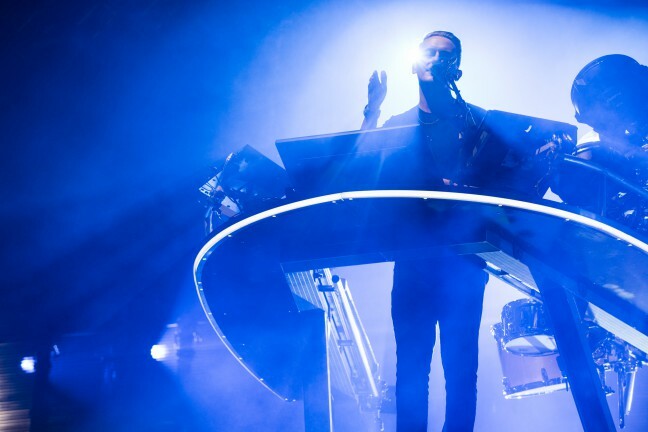 The EDM band quite literally blew up the stage Friday night, with their energy-filled performance that was so strong, it led to multiple breaks mid-set. Despite the technical difficulties, members Walshy Fire and Diplo riled up the crowd, playing some of their hit singles like “Light Up” and mixing in recent radio favorites like “Panda” by Desiigner. The set concluded with a not-so surprise visit from MØ, who closed off their performance with “Lean On.” Despite some bumps in the road, Major Lazer put on a memorable set. Our only hope is that Malia Obama didn’t regret choosing them over Radiohead. 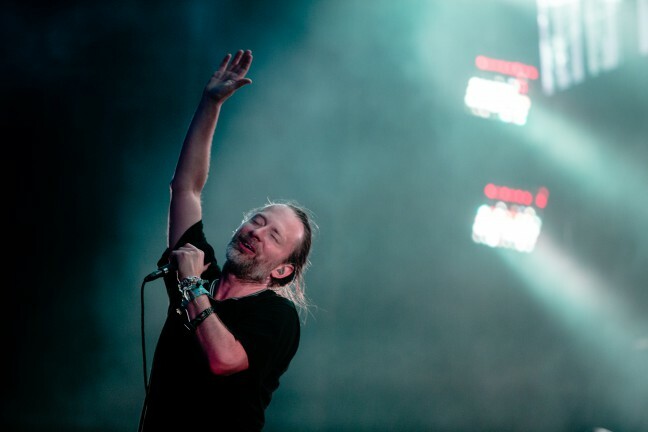 With what may have been the festival’s most unique, splendid visuals and lights, Radiohead’s two-hour performance was a definite festival highlight — and still a hot topic in the days following. 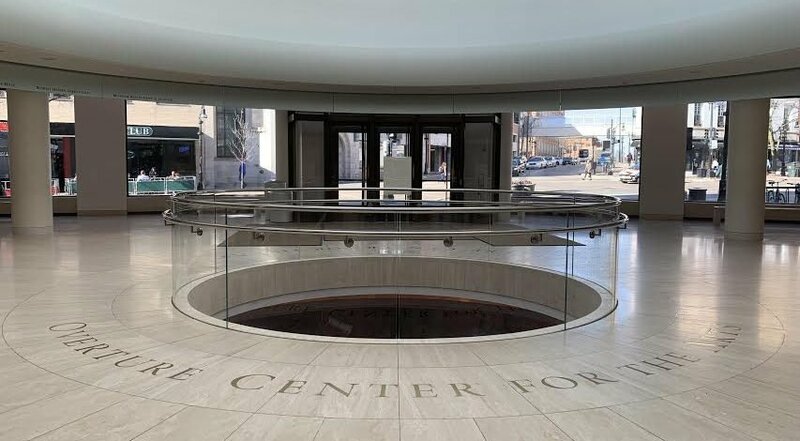 Though electing not to play “Creep,” they performed a sonically stunning combination of oldies and new music off of A Moon Shaped Pool, the band’s ninth studio album. Radiohead drew in a massive crowd, folks camping out at the Samsung Stage all day to snag the perfect spot. The crowd about lost its mind when the band revealed their final encore performance to be “Karma Police.” Fans sang and echoed the closing lyric, “I lost myself, I lost myself,” as the band slowly disappeared from the stage. Is there anyone with as much charm as D.R.A.M.? His set on Lollapalooza’s last day was like being transported to the bright, vibrant world that the Chicago singer/emcee has built in his songs and music videos. Playing hits like “Broccoli” — sadly Lil Yachty-less — and of course “Cha Cha” made it easy to forget the world’s problems. The result was a blooming of positive energy that carried over the course of a long, fourth day. Also noteworthy: D.R.A.M. asking the crowd to yell if they “love their momma.” Moms rock, and D.R.A.M. knows it, too. Returning to Lollapalooza after 2014, Flume had a clear status change. He had blown up since his last appearance — and there was no more of a telltale sign than his transition from small stage to big stage. 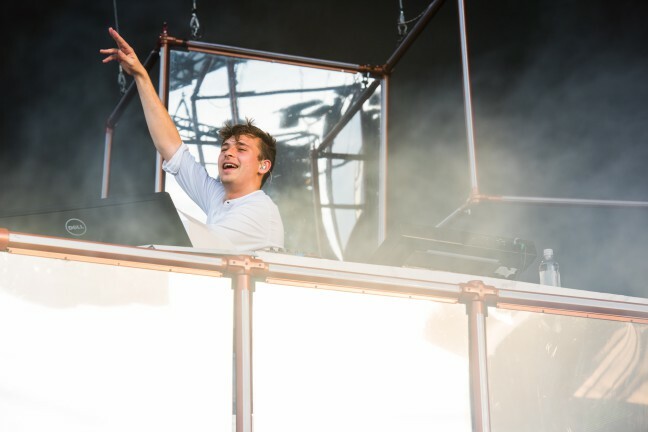 Playing at the massive Samsung stage Sunday evening, Flume stepped out to see a huge, dense audience before him, his disbelief and gratitude both genuine and endearing. The Australian producer’s excellent, thunderous downtempo beats gripped the crowd. He handed out intense, long drops that drove fans to a standstill, roaring with applause. With special guests like Vince Staples, Flume’s performance was dynamic with incredible energy. The young, Long Beach native Vince Staples has always let his music do the talking, even though he’s delightfully funny when he does speak up. Regardless, he had something to say late Sunday night when he gave frenetic, charged performances of all his most famous tracks, including ones he’s featured on. In between, however, he was the modicum of cool. Vince Staples is one of the closest artists to a no-gimmick emcee his generation has, and he proved that with the lyrical skills and passion he brought to the Pepsi Stage.